What a crock of shyte, you seriously need to speak with someone concerning these issues, preferably a mental health professional. In your head the Jews are to blame for everything, always handy to have a scapegoat. So certain, are you? Then lift the laws against Holocaust denial all over the world and release the political prisoners. 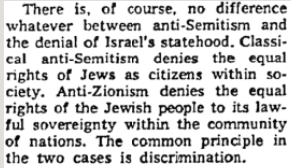 I am well aware of the origins of the word semite, however you may care to look in a dictionary under antisemitic, the meaning is always the same, a hatred of Jewish people. Your argument holds no water and is indeed fallacious. What dictionary would that be ted? written by the 4x2s ? or maybe wikipedia will also have the answer, whats up did one of your own Shulamit Aloni expose the TRICK as you lot call it, churchill wrote in his memoirs "History will be kind to me for I shall write it", were all aware jews own 98% of all media,love it when you expose your own dirty tricks. You give me too much credit, my knowledge of Israel and Judaism isn't particularly good, I just can't abide racists and holocaust deniers. What is a RACIST, I love my Race,or are we talking about we can have Gay Pride,Black Pride,but ONLY White Pride is racist? if you love israhell so much go live there then, and watch them act with impunity in there apartheid state they were gifted by Lord Balfour . It would be a dictionary unconsulted by yourself, if your post is anything to go by. As a Jewish Christy Moore would say;"
Climb a mountain or jump in a lake. On the 21st July 2013, BBC2 transmitted a programme about the mysterious and clandestine life of Uri Geller. Secret agent Mr Geller and his associates were careful not to give away any information about their activities that hadn’t already been discovered. However, a sentence they used, “breaking the infrastructure of nation states”, is very revealing. In practice, it has meant, replacing the leaders of countries with their own agents. 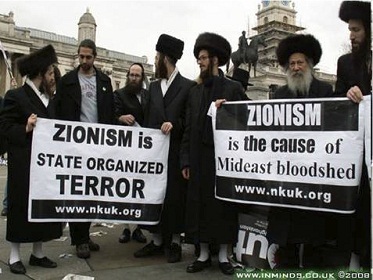 It is this kind of activity that has allowed financiers, world-government groups, Zionists and Mossad to secretly take control of country after country and then run them to destruction.